If you are a bow enthusiast, having a bow sight is a necessity, rather than a want. If you want to shoot your arrows accurately, you need to have at least a guide that can improve your precision and accuracy. In this case, you will specifically need the best single pin bow sight. Why Do You Need A Bow Sight For Hunting? 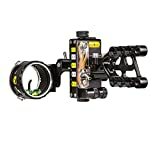 What Is The Best Single Pin Bow Sight For Hunting? Do you need a bow sight to hit a clear shot? Not necessarily. However, let us remind you that it would be extremely tough, especially if you are making long-distance aims. You are not joining a competition, so you don't have to be shy when it comes to using bow sights. Just remember your primary goal: to hit all of your targets! This is the reason why we always recommend even the pro archers to use bow sights, especially the single pin bow sights. You can shoot by instinct, but you have to realize that you have to take advantage of technology. There are varieties of bow sights, each depending on your versatility and experience as an archer. 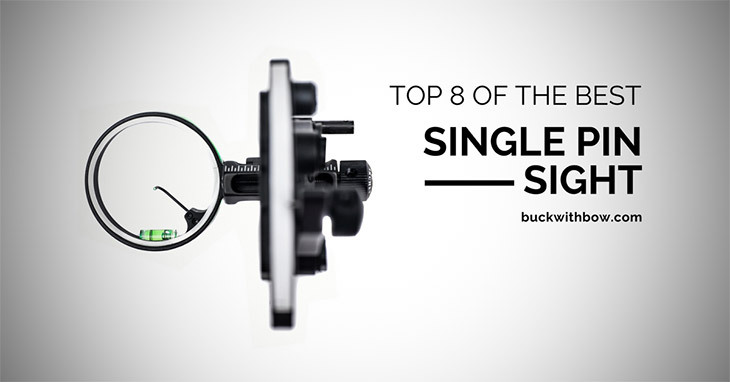 But for now, we highly suggest that you should try the single pin bow sight. Check out this video: 100 yards with single pin sight! 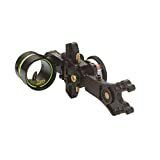 In the world of archery, there are two main types of bow sights that you can use: the fixed or multi-pin sight and the adjustable or single-pin sight. The single pin bow sights have been recently invented, but they quickly rose to popularity because of their extreme usefulness in giving accurate shots despite the varying distance. If the estimated distance of your target is at around 50 yards, you can just adjust the sight to the 50-yard mark, and then fire! You hit your mark! One of the best features that a single-pin bow sigh﻿t is the single pin itself. Because there is only one mark, any clutters in vision and blind spots are not an issue anymore. This is essential for archers, who are always crucial when it comes to having a clear vision. The unobstructed view provided by a single pin bow sight will let you easily even if your target is behind bushes or tree branches. However, there is a downside when it comes to a single pin sight. It will take you time to change and adjust your pin. This is a crucial matter when your target is moving, like an animal. Good thing, this issue is resolved when you use the best single pin bow sight. We have already discussed the features, advantages, and disadvantages of a single pin sight. Now, let us have a little introduction of a multi-pin sight. These multi-pin sights are born at the same time with modern archery. The benefit of using such type of scope is that it allows you to have 4 to 6 marks that can be adjusted. Each of these pins has particular yardage. 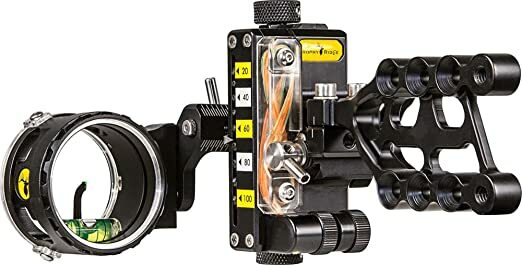 Therefore, you have to get familiar with the different yardages of a multi-pin sight so that you will know which one to use for a particular distance. 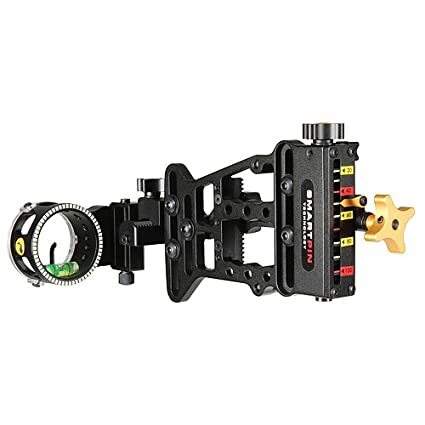 This main feature of this bow sight will enable you to adapt quickly to the volatile conditions of archery. Having many pins is also the main disadvantage of this type of bow sight. Since each pin has accurate yardage, you have to practice your shots at these "predetermined" distances. Guessing and intuition are also necessary when using multi-pin sights. In archery, they call this concept as "pin-gap sighting". Now, is the single pin better than a multi-pin? Honestly, we cannot answer that question with a direct yes or no. The reason for that is because of each of them possess their respective advantages and disadvantages. 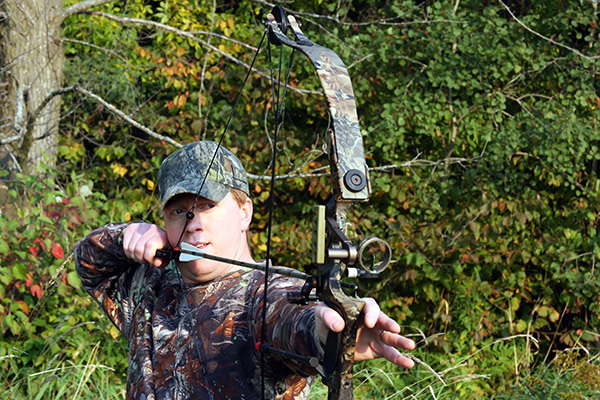 We recommended the use of single-pin bow sights because they are easy-to-use even for beginners. And even for veteran archers, single pin comes handy. But we are not saying that it is better than a multi-pin sight. It will still boil to your preference. And for us, it is better for you to start with the best single pin sights before using multi-pin sights. If you want a bow sight that is easy to set up and use, then the Trophy Ridge React One Pro is a great choice for you. It features easy adjustment settings, which allows you to spend more time hunting than setting up your bow. We find its design very compact and sturdy, and because it’s made from high-grade machine-constructed aluminum alloy, we are confident that it is durable and will last for a very long time. Accurate and easy to use, the Trophy Ridge React Pro also utilizes the React Technology, further simplifying pin adjustments while maintaining accurate yardages. We love the Spot Hogg Eddie pin sights because of their light weight and sleek design. And while they may be the lightest model in the Spot Hogg collection, both the Fast Eddie and Fast Eddie XL are still made of durable materials that are built to last. One exciting feature of these pin sights is their double pin scope, which provides you the benefits of a multi-pin sight while maintaining a clutter-free view. Our favorite, however, is their multiple colored rings, which lets your eyes automatically adjust depending on your lighting conditions. If you don’t mind paying extra for a good-quality pin sight, then you should definitely check out the HHA King Pin model. Both its hunter and dovetail versions feature exciting features like exchangeable yardage wheels, wheel-forward design, and a yardage tape magnifier. It also has Blind 20 feature that allows you to “blindly” adjust your yardage to your most common predetermined distance. Not bad for those extra dollars, right? 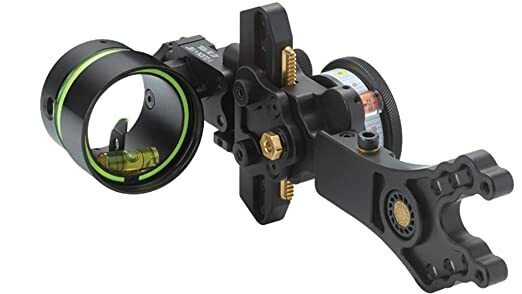 For those that are looking for a quality single pin bow sight that will not hurt their pocket, then the Trophy Ridge Pursuit Vertical Pin Sight is your ideal choice. But even for its inexpensive tag, we can still say that it is one of the best single-pin bow sights. We have tried it several times, and it gave us guarantee sure hits without breaking a sweat. It has a better rheostat light than most of the conventional type today. You don't have to use a tape on its rear for you to make accurate shots. But it will not hurt you if you will use one, too! This bow scope is easy to use, which is beneficial to a novice archer. You may not even need a manual just to learn this bow sight! 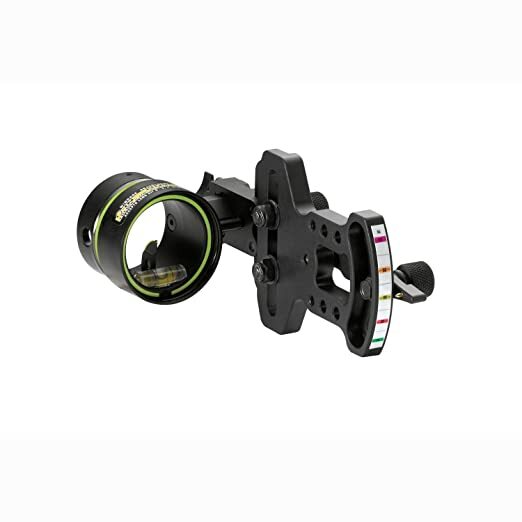 The Trophy Ridge Pursuit Vertical Pin Sight can easily be installed into any compound with ease. This feature is possible thanks to the two long screws that come with the bow scope. This trophy is highly durable but at the same time lightweight. Its aluminum construction does not interfere with the balance of the bow. This means that you don't have to make additional adjustments on your shots because this bow-scope does not add significant weight! Aside from the pin, this bow sight has an indicator that tells you how much change you will need to compensate for the wind and elevation. Any inclined shots, whether uphill or downhill, is possible with this bow scope, thanks to its 3rd-axis adjustability. One of the finest single pin bow sight we encountered is the HHA OL-5519. This bow scope is an ideal use because of its sturdy and lightweight construction. Its design can give you precise shots even if your target is moving. It also comes with an instructional guide so that you can adapt to the use of this scope. One of the benefits of the handbook is that it lets hunters understand the essentials tapes they can use for a single pin bow sight. There is no need for you to figure out the distance of your target. This bow scope has a default yardage sticker on it so that shooting your target will be faster than ever. If you are a veteran hunter, you may just have the impulse already to adjust the distance for yourself. But having this feature may eliminate those preliminary preparations. Once you set your sight to 20 to 60 yards, then making precise shots up to 80 yards is already possible. The HHA OL-5519 Optimizer Lite is made from A.R.M.O.R technology. This means that the entire construction of this scope is pure indestructible aluminum. But take note, the toughness of this scope did not compromise its weight. It is lightweight, and that is a guarantee. There is also fiber optics that is covering this scope to protect it from the forces of nature. It also has a protective hood in addition to durability. Moreover, this scope can be adjusted to low-light settings if you are hunting during dusk or dawn. Thanks to its rheostat, you can freely adjust the brightness of the pin. We can never forget the benefits of TRUGLO Range Rover Pro Sight as a single pin scope. This is the reason why it this one has to be included on this list because of its amazing features that make bowhunting a seemingly easy hobby. This bow sight has adjustable distance stops, which makes it easier for you to estimate your shots depending on the range of the target. This feature lessens the time you need to cope up with the distance of your target. If you target is moving, then this feature will prove beneficial. It also comes with over 40-pre marked yardage tapes if in case you need them. Aside from the distance adjustments, the TRUGLO Range Rover Pro Sight also has an elevation control and micro windage adjustment to keep up with the ever-changing situation of hunting. 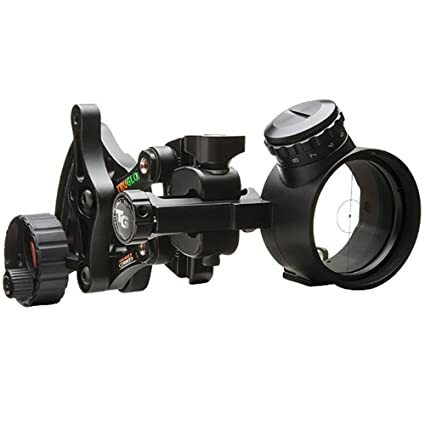 One of the best features that this bow scope has is its half-inch circle LED aiming point. This aiming accessory that has a green illumination in the center aids the hunter's accuracy even in long-distance sights. More than that, this scope also has 11 brightness settings so that you can cope up with the natural light of the surroundings. Whether it is too bright or too dark, this bow sight will never miss its target! The TRUGLO Range Rover Pro Sight has a 2nd and 3rd axis adjustment setting. Also, you can benefit from this scope regardless if you are left handed or right handed! Durable and sturdy construction, the entire body is lightweight too. 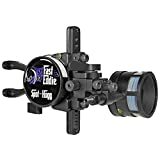 Another option you can have a single pin bow sight is the Spot Hogg Tommy Hogg. Even though it has a peculiar name, its capacity to increase your accuracy is not a joke. It has a sturdy construction, thanks to its aircraft-grade 6061 aluminum body. The set-up for this bow sight is not complicated and hard to understand. Therefore, the Spot Hogg Tommy Hogg Sight is made for beginners and veteran hunters alike. The pin of this sight is movable so that you can adjust it based on the distance of your target. 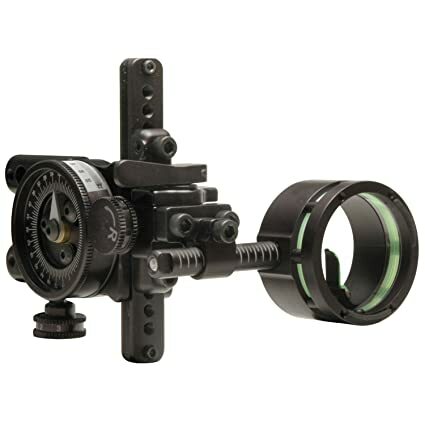 It offers a clean view and field clearance which is necessary for spotting your target. Since the pin does not require any other tools so that can adjust it, this bow sight is perfect for shooting moving targets. Moreover, it is also ideal use for hunting any weather conditions. One of Tommy Hogg Sight best feature is Hardened Rail Design (HRD) technology, which makes it sturdier than any other bow scopes. It has a compact mount that you can easily use, and it doesn't produce any vibrations and motions when you use it. 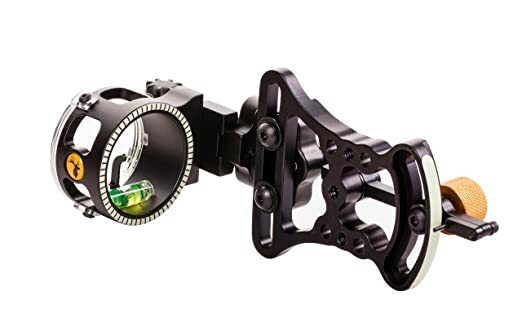 The micro-adjustable 2nd and 3rd axis and coarse horizontal and vertical adjustments will enable you to shoot your target precisely regardless of the difference in distance and position. Also, it has a yardage knob and precision laser to improve the accuracy of your aim. Moreover, it has a micro windage and elevation adjustment tools too! This another single pin bow sight from Trophy Ridge is one of your ideal options for a bow scope. The Trophy Ridge 1 Pin .010 RH React-One Sight uses the Smart Pin Technology, which is one of the most accurate pin-sights up to date. Therefore, missing your target would be near nigh-impossible if you are using this bow sight. This scope uses 100% aluminum construction that is sturdy, compact but guaranteed lightweight. Along its body is the 2nd and 3rd axis adjustment setting that will enable you to hit targets on different elevations. When it comes to adjusting the yard distance, then this bow scope will not give you a headache. Just set the yard indicator and the 40 to 100 marks will automatically set themselves. 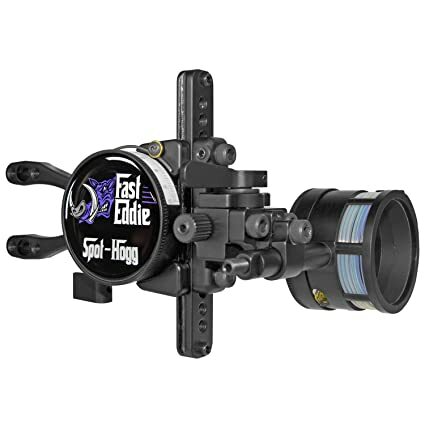 This bow scope uses an ultra-bright fiber optic that has a rheostat lighting for an optimal vision to conform with the availability of natural light. Also, it has multiple mounting holes so that it can accommodate various peep sight elevations. Moreover, it has a stable mounting feature that locks it well with your bow. It doesn't move and produce any unnecessary sound and vibrations whenever you are using it. While there are several brands of single pin bow sights out there, these four stood out from the rest. They have features that improve the precision and quality of your shots, whether your target is moving or not. Friendly ergonomics such as windage and elevation adjustments are also present in these scopes, which makes your shooting skills more precise than ever. Since you are already aware of the different forces that affect the accuracy of your shots, then hitting your target is truly achievable. And for this, we have to declare the HHA OL-5519 Optimizer Lite .019 5500 Sight as the best single bow sight. It has a superb construction that makes it usable in any weather conditions. It also has different adjustment settings too, and that keeps your targets on track. Regardless of what you choose, just remember that practice makes perfect. These single pin bow sights are essential to make clean kills but bear in mind that you have to be thoroughly familiar with them so that you can maximize their potential. Whats the name of the sight at the top of the page? The one with the angled pin? The name of the sight is BOOSTER HUNTING SIGHT SLIDER 1 PIN BK. I was given this sight on my birthday by my friend. Hi there, I’m a massive follower of your site. I really love your post! I am a crazy keen angler & hunter so this articles are really appealing to me and my mates. Fish & hunt on! Cheers.